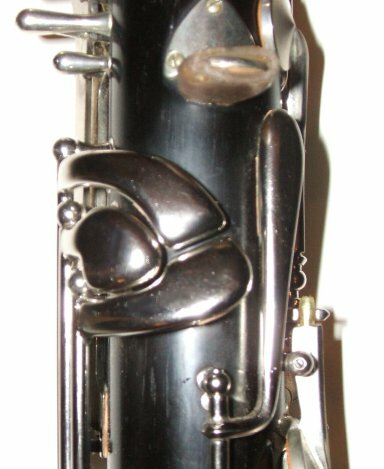 Extensions of "short model" bass clarinets to low C are available for any make of instrument, with tuning and key action equal or superior to factory installations. For best results the extension is permanent, though for customers who wish to preserve their instruments as unaltered as possible, it can be made "semi permanent", i.e., removable if necessary but with one-piece keys across the join. 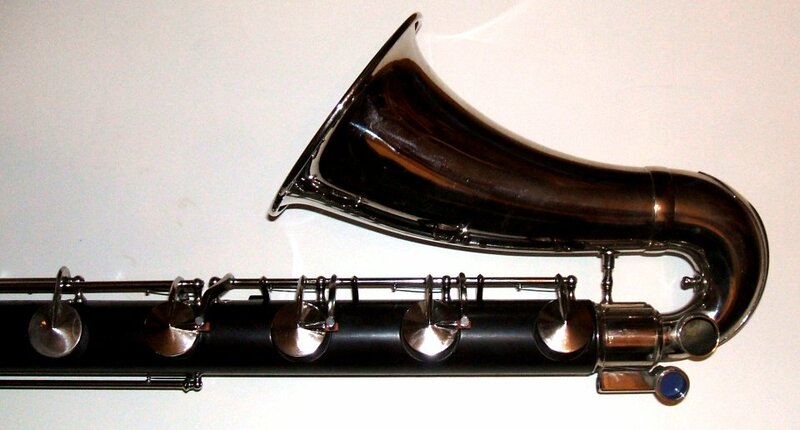 A removable joint, with bridge keys, can be made but is discouraged due to the complexity of the extra keywork (note that once the player is accustomed to the extended bass clarinet, and a once a suitable case has been obtained, there is rarely if ever any reason to return to the short model). Optimum intonation and key action are obtained with a "four hole" extension, with all pads on the body and the hole on the bell functioning as an open vent for low C. A "three hole" extension, retaining the bell key, is shorter and hence easier to obtain a case for, though the tuning of low C# is compromised somewhat (as is the case with many factory low C bass clarinets). Normal keywork is three thumb keys for low D, C# and C, with the touchpieces ergonomically shaped to allow easy sliding between notes. An auxiliary low D lever for the left hand little finger may be possible, depending on the space allowed by the existing keywork. It may also be practical to add a right hand little finger key (on the upper rank, beside F/C), for D or C# or convertible to produce either. A tuning key for low E/middle B is also offered and strongly recommended, allowing both notes to be played exactly in tune.